What is your backpacking philosophy? SUL, UL, comfort, what is your chosen style of gear that you bring? Chance Sheridan: I consider myself an ultralight backpacker. I would like to think I apply the same insight to hiking as Tenkara does to fishing. If I don't need it, it's not going in my bag. My gear depends on a few factors: season, number of days, and number of people. I prefer going out solo or in a small group, 3 people max, to help reduce our impact. If I'm going solo for a weekend I would start by pulling out my Osprey Exos 34L bag. The bag itself is 2 pounds, 2,075 cubic inches, with an internal frame. The majority of my backcountry adventures are in Wilderness areas. As much as I would love to cook and boil water over a warm fire, I can't. Fires are not allowed above 9,200 feet, or at all if it's a dry year. In these cases I depend on the MSR Pocket Rocket. Packs small (4x2x2), and weighs a mere 3 ounces. Although small, this stove can have half a liter of water boiling in less than 4 minutes. Pair this with MSR's Blacklite 1.5 quart, non-stick aluminum pot and you're set for cooking food, or boiling water for coffee or clean up. I also pack a MSR Titan cup, no I am not an MSR spokesperson. This is an awesome .4 liter titanium cup that weighs 1.9 ounces. Good for cold or hot beverages, can be used to boil a cup on the stove or, if you can have fires, placed in the coals for a warm up. FJ Guy: My current philosophy would fall in the lightweight category. In between ultralight and comfort I would suppose. 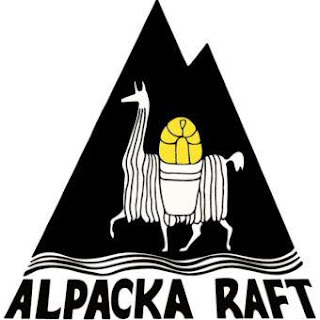 I still prefer a pack to have a frame (metal) vs. the ultralight packs which the majority use a foam panel, sleeping pad or plastic frame sheet for load distribution. 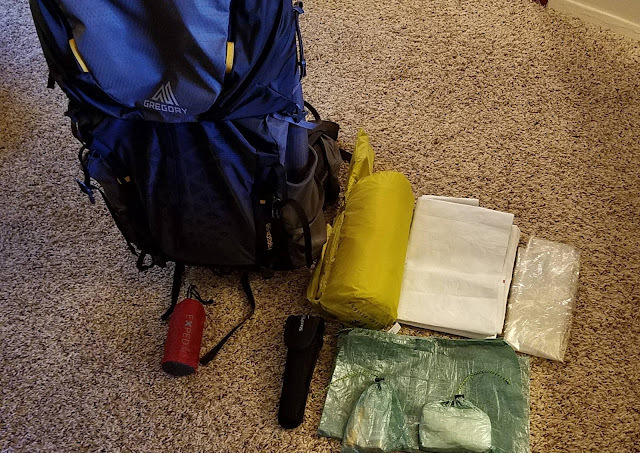 I have adopted ultralight principles to lower my pack’s weight as opposed to the more common “REI” approach to backpacking which recommends you have all the latest equipment for any condition you may encounter even if those conditions don’t currently exist or are not forecasted. Graham Moran: My backpacking philosophy is keeping it light but comfortable. Weight can make or break a trip but I find I like having those extras like a chair. 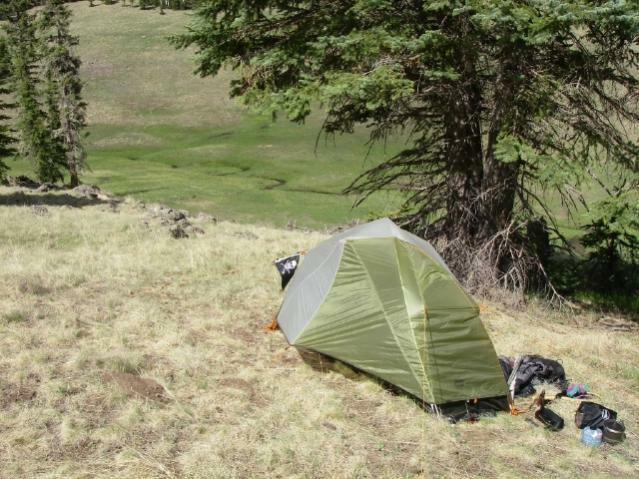 Jay Johnson: My backpacking philosophy is UL with comfort. With modern materials and a multitude of gear options out there, I think one can hit a base weight of less than 10 pounds but still leave plenty of room for comfort if they choose their gear wisely. 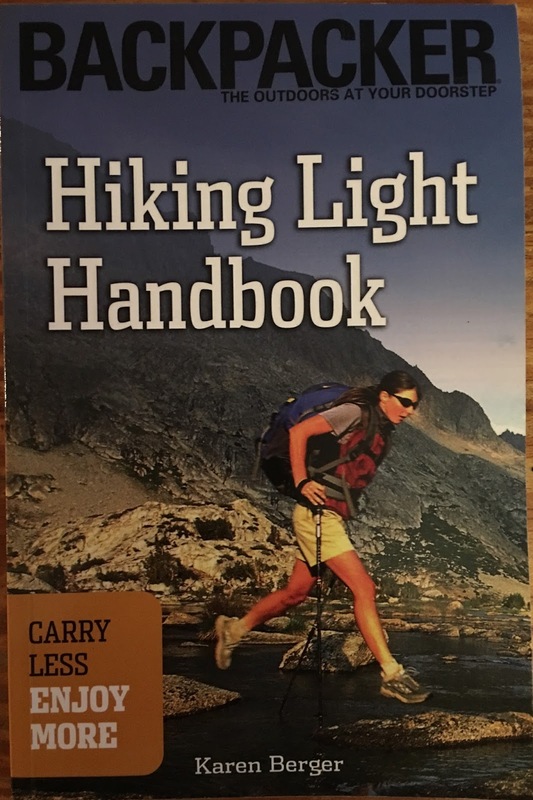 Unless you are pushing 40-50 mile days on a thru-hike, I really don’t think there is that much of a difference between a 5lb or 8lb base weight. At some point, there are diminishing returns on weight lost vs comfort lost. 3 extra pounds can afford you a lot of comfort in the form of a better sleeping pad, bigger shelter and a creature comfort or two. A big part of my backpacking philosophy when it comes to solo hiking or fishing is that I plan on spending a minimal amount of time at camp. My main focus will be on the trail or stream, so when it comes to camp items, I tend to only bring what I need in order to rest and recharge for the next day. A roaring camp fire and cushy chair would be nice after a long day, but I don’t want to carry it for 12+ hours beforehand. If I’m not going solo, I do bring extra stuff as camp time starts to be less of a necessity of rest and more of a social event. That’s when beers are carried and possibly a saw and/or hatchet to really get that fire going. Finally, I try not to pack my fears. It’s easy to let our imaginations run wild and find ourselves planning and packing for DEFCON 1. Yes, I’ve watched the movie “127 Hours” but that doesn’t mean I need to bring a machete on the off chance I need to cut my hand off in order to self-rescue. Pre-trip planning, combined with knowledge, skills and the ability to mitigate trouble are much lighter than carrying enough gear to ride out the apocalypse. Don’t go stupid light, but don’t pack weigh yourself down with what-ifs. Adam Trahan: My philosophy for backpacking and hiking is not to suffer. So somewhere in my choices is an understanding that in order for me to have a great time, I will have to compromise. Unless I make my own equipment, I'm going to have to choose something that another person has made and or developed. I learned to backpack and live in the outdoors when I was in my twenties while in the Army as an infantry medic. I learned so much about living outdoors out of your rucksack. What you needed, what you didn't and what worked. When I got home, I didn't have to use "their" packing list so I went through a period of rebellion in choosing outrageous comfort items like chairs and little tables, big blow up mattresses, extravagant tents, I had a big backpack for just for an overnighter. This was before I was introduced to tenkara. Now I focus on "just what I need" with a lean on comfort. My pack is light and allows me to move freely, I have minimal equipment so I'm not lost in choices. My tent takes a minute to set up so I am not obsessing on it, the energy went into the knowledge "where" to set it up. I think my backpacking is best described as lightweight and comfortable. 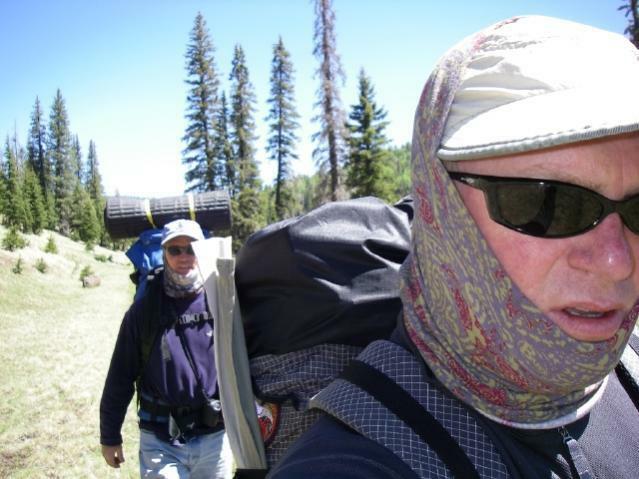 John Yokley: Historically, I’ve been primarily a “comfort” backpacker. The irony, however, is that the “comfort” was only in camp and certainly not on the trail. What my experience has taught me over the years is there is an inverse correlation on weight vs. enjoyment when backpacking – the more weight, the less I enjoy the trip. In the past, I’d always “pooh-pooed” ultralight gear wen backpacking (or mountain-biking) considering I was overweight myself – why pay more for gear that shaves a few ounces when I’m carrying 20 extra pounds around the midsection. But now, at 45yo, I have both the disposable income and the physical need to go as light as possible to continue my outdoor pursuits. Laura Sherman: Let’s call it ultra-light-safe. Alaska’s features and big game prevalence are something I take very seriously. My version of ultra-light is contingent on my tasks (usually fish, hunt and distance), tailored to my 5’2”/105 lb size, and here, there are months where I am not bogged down by a lot of lights and batteries or solar booster, which affords me ounces. But those saved ounces are spent on a heavy emergency call or beacon device, bear protection, bear safe food storage options and equipment for extreme ice and cold weather. I thru hike, I don’t mountaineer, but I climb small mountains (no more than 5,000 ft), I usually hike alone, (with a lot of organization and safety plans), and I pack everything out that I’ve packed in (+ game). Chance Sheridan: I did a lot of research for hiking gear before I started making high dollar purchases, wanting to make sure I got a good product and not just a brand. To treat water at camp I carry the Katadyn 6 liter Base Camp. After a long day hiking/fishing, the last thing I want to do is pump drinking water. 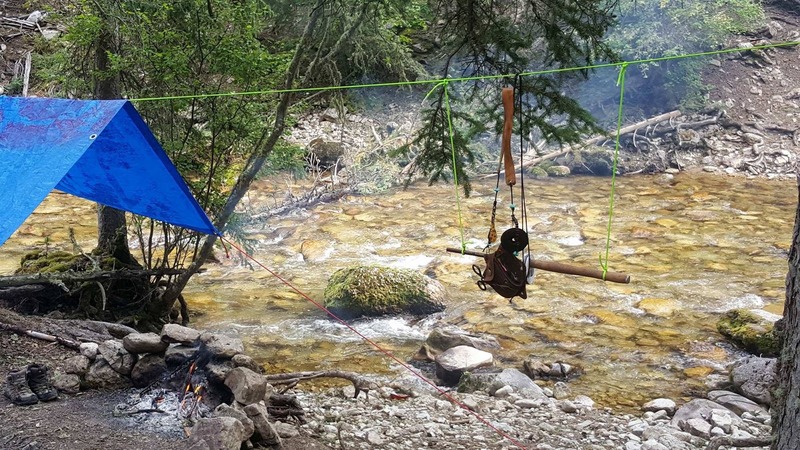 With the gravity feed base camp you fill the dry bag, hang it and wait. Filters 2 liters of water a minute, removing silt, cysts, protozoa and bacteria up to .2 microns, and weighs 12.4 ounces. It's almost like having your own mountain tap. Sleeping is one of the most important aspects in backpacking for me. If you spend multiple nights in the backcountry and cant sleep because you're cold or uncomfortable, it makes for a long trip. I've tried a number of bags, from synthetic fill to goose down, and think I have finally found the last bag I will ever need. The Nemo Sonic 15 is only 2 pounds 9 ounces, 850 fill, and is about 7.5 liters packed. One of the cool features of this bag is the vertical "gills" on the chest which allows you to regulate temperature inside your bag up to 20 degrees. If you're going to have a cozy bag you might as well put it on a cozy pad. Thermarest Xlite has been a great sleeping pad, providing an extra 3.2 R value, weighing 1 pound, and is roughly 11 inches x 4.5 inches packed. As far as shelter is concerned it all depends. I have made trips with no shelter and found a "natural shelter" out of the elements to call home for the weekend, but wouldn't recommend that to most people. At the most I would bring an 8x10 poly tarp. Not big on tents, and the configurations of a tarp seem endless. All rolled up the tarp can also carry tent stakes and 50 foot of parachord. I have looked into Ripstop silicone impregnated nylon, but it is not cheap. FJ Guy: I am currently using a 2017 Gregory Paragon 58. The pack weighs 3.9 lbs but I can strip some of its features to bring the weight close to 3 lbs. The torso length is adjustable up to 4” and the hip pads on the belt are adjustable to customize the fit to the hiker. It has a couple of innovative features such as a hydration sleeve that pulls double duty as a day pack. I’m not a fan of a hydration sleeve as I don’t carry extra water unless I need to. So if I’m not using it as a hydration sleeve but I still want the pack along for day hikes, I can stuff my quilt in it and shove it in the bottom of the pack. Also, the Paragon’s top lid is removable. The sleeping bag compartment separator can be removed and used in place of the lid. There is an integrated raincover included with the pack and if rain isn’t in the forecast, I can leave that behind as well. I also have cuben fiber stuff sacks that will keep things dry if it does rain. While the Paragon is not ultralight, it’s still two pounds lighter than my 5.8 lb traditional internal frame Gregory pack. The Paragon is rated to carry up to 50 lbs unlike the ultralight packs which are normally rated to carry 25 to 35 lbs. My current shelter is a Sierra Designs Flashlight 1 FL which is a hybrid single wall design weighing 2 lb 9 oz. If I use my trekking poles instead of the supplied vertical poles, I can get the weight down to 2 lb 3 oz. It’s roomy enough for my needs and it’s easy to set up. I researched several cottage companies and their tarp tent designs but I felt those were a little to specialized for what I needed my tent for. My sleep system consists of a Jacks R Better Sierra Sniveller quilt, an Exped UL pillow and a Thermarest Z Sol pad. The quilt is lightweight and packs up small. It’s in the neighborhood of 1 lb 13 oz. The quilt is rated to 30F but with baselayers it can go lower. I can always put my puffy jacket on and go even lower. I recently had the quilt stuffed with 2 oz more of 850 down so the original rating of 30F is more like 25F. If I’m expecting steady temps at night in the teens or twenties, I’ll use my down bag which is rated to 20F but that’s a rarity for me to be camping at those temps. The Z Sol pad has an R rating of 2.6 and weighs 14 oz. I have inflatable sleeping pads but the one thing about the Z Sol is it’s closed cell foam so I don’t have to baby it. It’s reasonably comfortable and I can sleep on my side also. Graham Moran: My backpack of choice is the Osprey Atmos 65 AG, my current tent of choice is the Marmot Tungsten 2, and my sleeping system is the Big Agnes Mirror Lake sleeping bag and the Big Agnes Double Z sleeping pad. Jay Johnson: I’ve recently upgraded a few gear items, dropping not just weight but also a lot of volume. To better match my smaller volume of gear, I just received a new MLD Burn 38L pack. It weighs 14oz and is pretty awesome. If I need to haul larger loads/weight I still have my Osprey Exos 58L (older model). 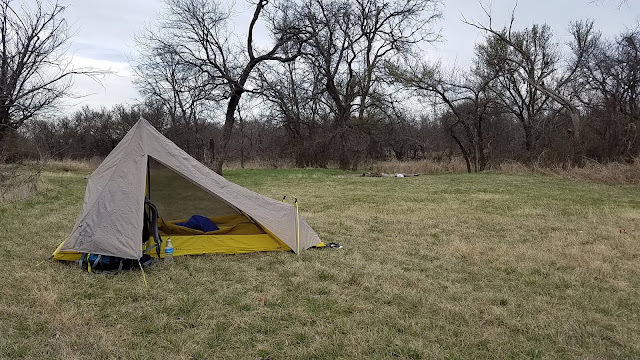 For my shelter, I am currently using a Zpacks Duplex tent. Its price tag would probably make some people vomit, but I am really glad I have it. For the most part, I don’t think ultralight gear is any more expensive than heavier, traditional big store brands but when it comes to a shelter, spending some extra coin on smaller cottage gear companies can really save weight. I’ve used 4lb 2 person tents that are super cramped and I much prefer my current 1.25lb 2 person tent that comfortably fits 2 people and a dog. 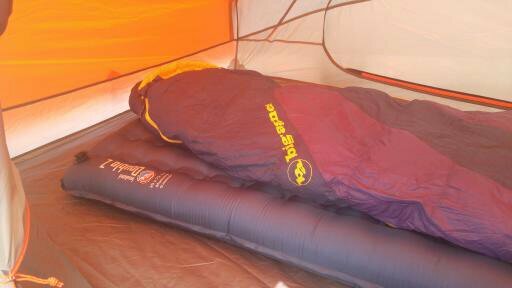 For my 3 season sleep system I use an Enlightened Equipment 50 degree quilt and Sea to Summit Ultralight Sleeping pad. I used to carry a 20 degree quilt and insulated pad, but I am notorious for waking up covered in sweat even on 35 degree nights. My new strategy is to push the temperature rating of my sleep system on the colder side, rather than overheating. For my pillow, I use a Zpacks dry bag w/fleece liner with a Therm-a-Rest Lite Seat inside. It’s quite comfortable and multi-functional. The dry bag holds sleeping clothes and electronics (portable charger on longer trips) and the Lite Seat is used as a camp seat and back padding for my backpack. Adam Trahan: Mountain Laurel Designs Prophet backpack and Duomid (nylon) and solo inner net with an Enlightened Equipment Revelation twenty degree down quilt and an REI inflatable rectangle mattress and oh, a Sea to Summit blow up pillow. I love my pillow. My sleep system is my “something new”. It is a 0’ F Enlightened Equipment Revelation quilt, barely 21 oz, and my pad is the R—value 3.4 Therma-rest ProLite in size “S”. In the company specs it says it weighs 14 oz, but I’ve weighed it twice and I get 13. I’m happy either way. My shelter is a 1 person Marmot Nitro. It is not “blue”, but that would have fit my theme better. I bought it at 1.11 lbs, but I’ve modified a few things and I’m down to 1.8. I love it. My shooting stick/wading staff/trekking/tent pole is a modified older model Leki Wanderfreund – cork handle / cane style. At the time I bought it, it marketed at 9.4 oz, but it also extended much taller than I’d ever use it. I have sawed it off and added a modification to the top that allows me to attach a camera or a more traditional shooting rest if I want. What style food prep? Alcohol or canister stove? Dehydrated food, forage, what is your kitchen? Chance Sheridan: I have come to the realization that eating crappy food is no longer for me. The majority of my packs weight can be attributed to my food. The night of hiking in I might pack a steak or some sausages that I can cook up before it goes bad. Breakfasts consist of oatmeal, energy bars, dehydrated fruits and a spoonful or two of peanut butter. I'm usually busy come lunchtime, either hiking or releasing trout. As soon as I'm back at camp I might make some shells and cheese, or mashed potatoes and a Bear Creek stew. Tortillas and peanut butter, jerky, mixed nuts, olive oil, high protein items are a must! FJ Guy: Dehydrated food makes up the majority of what I eat when backpacking. Things that all I need to do is boil water. Instant soup, instant coffee, instant oatmeal, peanut butter packets, protein bars, etc. I have two different approaches to boil water. I’ll either use my stainless canteen cup with the Esbit stove or I have the modified Fancy Feast can stove with methanol and a ti pot. If I decide to catch and keep fish to eat, I can build a fire and cook the fish over it (fish on a stick). Water purification is done with Aqua Mira drops, a Sawyer Mini or a Steripen. Graham Moran: My current stove is a Jetboil Flash stove with dehydrated food as my go to food. Because I am using the Jetboil I do not have to carry extra kitchen supplies. Jay Johnson: For solo adventures, I’ve moved to no cook foods. It all comes back to wanting to maximize my time spent on the move or with a fish on my line. Kind bars, pepperoni, jerky, cheese, almond butter, etc are all things I can eat on the move, without prep. 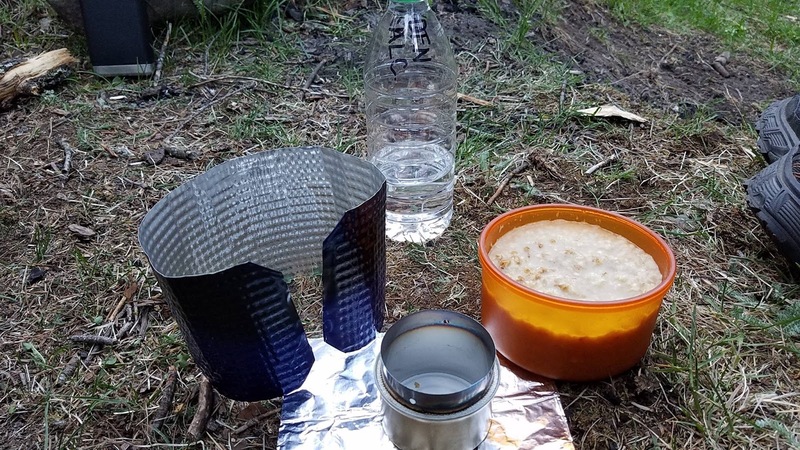 For larger meals with minimal prep, ramen or dehydrated meals can be cold-soaked while you are hiking or fishing and be ready for you when you stop for lunch or get into camp. A warm meal is nice, but for me it isn’t a must. If I am boiling water for dehydrated meals, coffee or tea I bring a canister stove. During fire restrictions, alcohol stoves are not allowed in Arizona. When necessary, I use an Evernew 900ml titanium pot with a Primus Ti Express stove for a combined weight of 6.5oz including a stuff sack to fit it all. It’s hard to beat the ease of use with a canister stove. Adam Trahan: Snowpeak Giga canister stove with 900 titanium pot and a double wall cup makes up my core cooking for rehydration, ramen, coffee, whatever. I have two choices for cooking with wood, a Purcell's trench grill and a Picogrill for a fish dinner and fire comfort. I don't like solo backpacking but it's what I end up doing most of the time and there is comfort in preparing a fire and cooking on it. In the past I used a Silkyboy saw and cut up a cord of wood and would make these six foot bonfires and sit in my chair and just stare into the coals, dreaming, preparing shioyaki or a dry iced hamburger that I had packed away with the little tub of ice cream. But I'm learning to make small fires, my fires are getting much smaller. Laura Sherman: Stove: I can’t beat the Jet Boil MiniMo and I’ve tried hard. The MSR PocketRocket, Reactor and Dragonfly weren’t great for various reasons, and, other solid fuel stoves usually left me eating cold food because I’m too impatient to wait. I’ve never tried alcohol-fuel though, but I’ll bet it’s difficult to find in remote Alaska. The propane canisters are really accessible here. Regarding Tenkara, what is your philosophy on your chosen style while backpacking? Chance Sheridan: My hikes are usually planned with fishing new water as the motive. I have a simple daypack, Poler stuffable, that I can load with everything I'll need once I establish a base camp. Platypus water bag, snacks, rod, rain jacket, first aid kit, and a Sawyer straw water filter in case I drink what I brought. 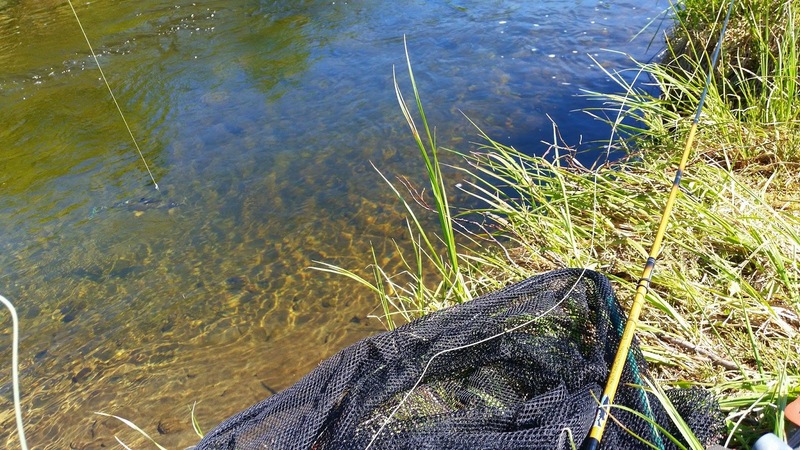 Graham Moran: The less I need tenkara wise the easier and more enjoyable. 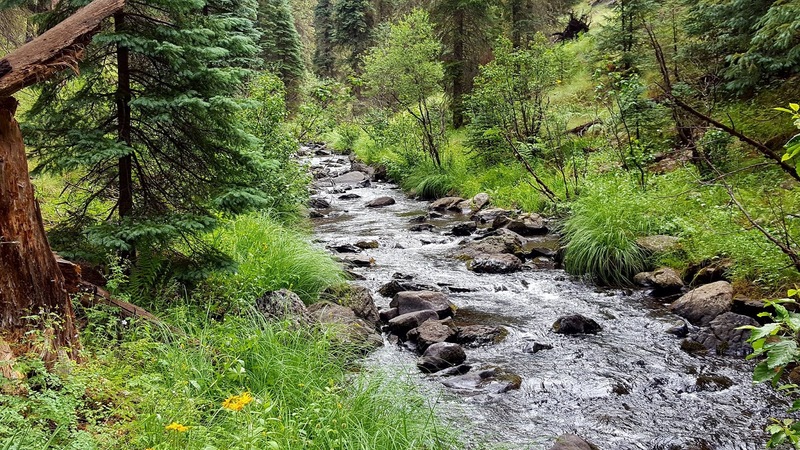 Jay Johnson: How I approach Tenkara while backpacking depends on if it’s a backpacking trip with a potential opportunity for fishing or if it’s a fishing trip that requires backpacking. When fishing is secondary, a single rod and minimal kit is all I will carry, focusing on going lightweight. When the primary purpose of the trip is Tenkara, I will bring a couple rods and a kit that supports a wider range of situations and will enhance my fishing. Two rods are important for a couple reasons. First, if I’m 15 miles from the trailhead and my vehicle, I don’t want a broken rod to ruin my trip. Second, two rods will give you flexibility for different situations. If you are exploring a new stream and are unsure of the canopy conditions, you can bring a shorter rod as well as a longer one. Another strategy I like to use is to bring a rod that is primarily for unweighted flies, with another that excels at nymphing. This will allow me to fish all parts of the water column with maximum efficiency as needed. Sometimes my Tenkara might border on hybrid methods of fishing, so whether you call it Tenkara, American Tenkara, Hybrid Tenkara or whatever, I always focus on the advantages of a long rod with light line held off the water. JJ Hiker: I mostly fish small creeks targeting wild trout, I keep my Tenkara gear as simple and light as I can. Adam Trahan: The more you know, the less you need. It works with everything. John Yokley: Basically, if the goal of the backpacking trip is miles, then I’ll carry a pocket rod. If the goal is a trip to a fishing spot, then I’ll bring the TUSA Sato or Tanuki Killer Bee and the Nissin pocket rod as a backup rod. Laura Sherman: Right now I’m still discovering my tenkara style, but I have always found a way to include tenkara in every hike. I have a Badger, Tenkara USA, TFO/Patagonia, Wetfly, and a Tenkara Rod Co that are all super for their own reasons. The jury is still out on my favorite, but, for now, I protect my (unnamed) rod with one small cheese-cloth-like game bag in an old expandable travel tube (2 oz) that has a strap. It’s the kind of tube people roll up blueprints and travel with them in, and that is perfect in diameter for my flies and my extra line that I have in stackable round craft-store bead containers. Please detail your equipment choices for backpack tenkara. Chance Sheridan: I carry a flip down style lanyard around my neck that has ample room for flies, hemostats and license. With everything I need for the day this bag weighs less than 5 pounds. Although I have been fishing more lakes as of late I prefer to fish creeks and rivers. I love my Iwana from Tenkara USA! While most of the fish will average 12 inches, I have landed trout above 20 with the 11 footer. FJ Guy: That would be a TUSA Iwana, Daiwa Sagiri or the Suntech GM 39. It would just depend on where I would be fishing. Those three rods could handle every trout I would catch because I prefer the small creeks over large rivers. Those rods were tested in Montana last year and there was no question they could handle the fish I was catching . Graham Moran: My TUSA Sato, A line keeper spooled with a TUSA tapered nylon line and a 3.5 level line, one spool of 5x Tippet. 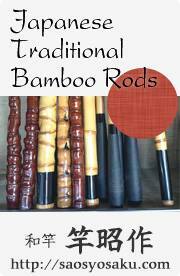 Jay Johnson: I currently own 5 rods in various lengths and flex profiles. This allows me to fish unweighted or weighted flies on both, tight and open streams. For my kit: I usually have a net, one or two fly boxes, nippers, light hemostats, floatant, a spare spool of #3 orange Level Line and a spool of 1x indicator tippet to make new lines if needed. When I plan on doing a lot of wading, I’ll wear 5.10 Water Tennies, Tiemco Foxfire Wading Socks, and sometimes Tiemco Foxfire Gaiters. If I am fishing alpine meadows or other streams where I’ll be staying out of the water, I will stick with trail running shoes without the wet wading gear. JJ Hiker: Rod, line, tippet, nippers, forceps, small box of flies. Adam Trahan: If it is a local tenkara/backpacking trip I will take my Ito, Sato or Rhodo, I know where I'm going so I know what rod I need. If it is a backpacking trip with maybe some fishing, I will take the Nissin Mini as a primary rod. I also take my Tenkara USA strap pack no matter. I'm a tenkara minimalist so my fishing equipment is minimal and not invasive to my pack/list. John Yokley: I’ve historically carried a Tenkara USA Sato when backpacking with minimal accoutrements (hemostats, nippers, goop) in a “hacked” necklace and Zimmerbuilt small pack. I carry one box of Tenkara flies. I recently purchased a Nissin Mini Pocket Rod which will enter the rotation going forward. I will not carry a net when backpacking, just when I’m only fishing. Laura Sherman: Rod, 3 extra lines, tippet, about 12-16 flies and my Leatherman is 5 oz and has needle nose pliers and snips. Is there a common theme that runs through your backpacking and tenkara? Chance Sheridan: For me fishing and hiking is a way to sort of "zone out" for a while. Even though I'm studying currents and looking for heads, I can totally lose myself in that moment. I am forever grateful for the outdoor opportunities Wyoming has granted me. I hope these public lands are available for future generations to enjoy! 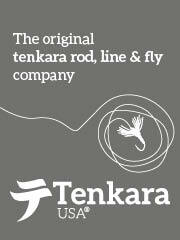 FJ Guy: With regards to Tenkara, I like the minimalism of it therefore it's easy to keep to the minimum when fishing. Of course one could exert much energry trying to match everything to a given fishing situation, rod, line, flies, tippet, just like in western fly fishing. I found out last year that I could just as easily catch Rio Grande Cuts using a 4.0 level line in relatively shallow high meadow creeks, under cloudless sky, as I could catch browns in a deeper, faster freestone water. The fly choices were a little different but not much. Streamlining my pack weight is more of me getting older and less tolerant of carrying a great deal of weight. Why do that if I don't have to? Graham Moran: I enjoy tenkara and backpacking allows me to experience different areas. I will say the weight savings of tenkara gear has made me a bit more aware of of my overall pack weight. Jay Johnson: A common theme in my backpacking and Tenkara is attaining balance and efficiency for my enjoyment. I know I could go lighter with certain gear, but I choose what I use for a reason. My tent is on the “heavy” side at 20oz, but it is extremely easy to set up, has a lot of space and is open enough for good views. If I wanted to go lighter, I could do a bivy and small tarp, but I appreciate what the extra weight in my shelter brings me. For Tenkara, I bring the least amount that I think is needed to maximize my fishing capabilities. I could bring just a rod, line and a small box of kebari, but I prefer to bring some dries/mini-hoppers and some heavier nymphs so I can fish all parts of the water column depending on what I feel is fun for that day. I try to avoid things that over complicate my Tenkara, as well as things that would be considered solutions in search of problems. JJ Hiker: Common theme- less is more. I am a minimalist by nature, I carry this through my backpacking gear and Tenkara gear I only carry what I need for Tenkara when backpacking. John Yokley: Now that I think back over the past 3 years, Tenkara’s minimalist approach is now driving my backpacking choices. As we speak, I’m going through my old backpacking gear to donate as I no longer need nor want the “clutter” associated with te gear. It’s a bittersweet process as I have good memories with this gear (I’m a Sentamentalist). But making the decision to “release” this gear is a liberating process….te more you know, the less you need. Adam Trahan: Yes, absolutely. Again, the more you know, the less you need. It is becoming a mantra for life, it's gotten into everything that I do. Laura Sherman: I am an opportunist. I make multiple uses of many things to benefit kinetic, time and monetary economics. 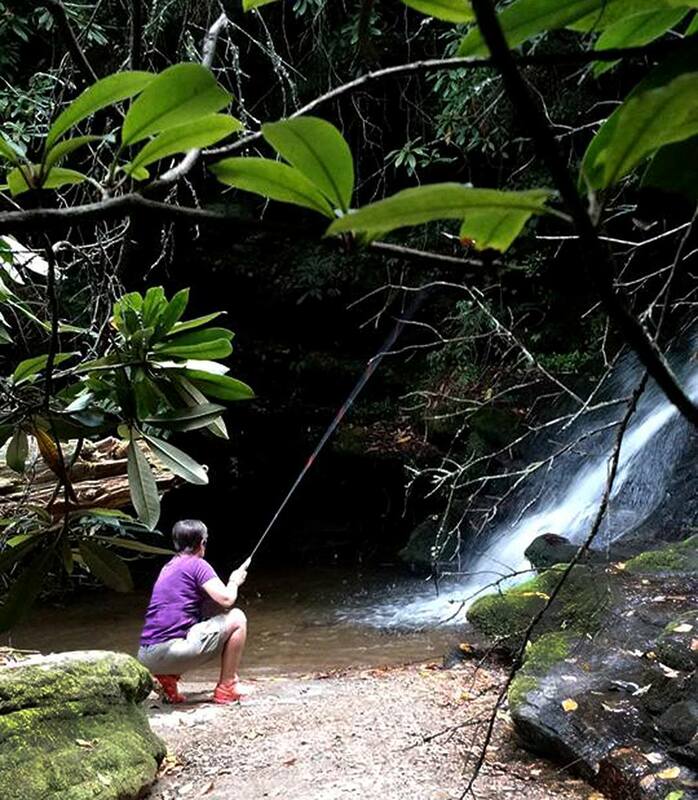 If my gear can be multipurpose (wading staff, knives, game/rod bag), I am excited to implement it. My tenkara is energetic that way, and I feel like I am well synced with my gear and my adventures. Do you allow yourself any comfort items? Things you don’t need but want to have? Chance Sheridan: If I don't need it, it's not going in my bag. Graham Moran: My Helinox Chair one and my Black Diamond Mojo lantern. A Pipe and tobacco are things I don’t need but enjoy having. Jay Johnson: I don’t think I have one specific comfort item, rather choices in gear that allow for comfort with a weight penalty. I could use a torso length, 1/8th inch close cell foam sleeping pad, which would cover what I truly need, however, I choose a full size inflatable sleeping pad for added comfort. I pick and choose additions of comfort throughout my gear, without bordering on luxury or glamping. Adam Trahan: Yes. I like a eggs and bacon breakfast deep in the woods. That takes some doing so everything that goes along with that, a small one egg frying pan, a six pack plastic egg holder and a little lightweight spatula. I have a tiny little chair that I sometimes take with me. I have some Snowpeak things that I like to carry. The Japanese have huge influence on my backpacking. My choices are light and minimal so I can carry an extravagance if I want. A sit pad has worked it's way into my pack which I carry all the time now. My little blow up pillow, that has become necessary now. But if you were to look at my packing list? It's really minimal, I don't take a bunch of stuff anymore, I usually choose one or two things and go with that. I sometimes upload a movie on my phone which I no longer see as a "extra" as it has a camera, a word processor, maps, it's not necessary to take but it's definitely a part of my kit. Laura Sherman: A camera (is that comfort? )-which is my phone, which had a lot of audio books on it that I listen too at night, an extremely light solar booster, and a bit of candy. I’ll take a few Halloween-sized candies…my “dessert” before I sleep. Those calories or ounces don’t count. I heard that somewhere. What is the highest elevation that you have spent the night on a hike? Chance Sheridan: A friend, who is also a Tenkara angler, and I stayed one weekend around 10, 300 feet near the route to summit Cloud Peak (13,000+ feet). That weekend happened to coincide with the super moon, and absolutely lit that valley up. I swear you could have read a book at midnight with no artificial light! FJ Guy: Around 10,000 ft.
Jay Johnson: I have camped at just over 9,000ft elevation in the White Mountains of Eastern, AZ. John Yokley: Just 6165 ft (Grassy Ridge Bald) that I can recall…. What is the longest trail you have hiked under your own support. Chance Sheridan: Cloud Peak Wilderness has logged the most backcountry miles for me. Growing up we spent a lot of time in the Big Horn Mountains, since its only about 50 miles east. I know it makes my wife sleep better when I head that way as opposed to going west into grizzly country, we live about 90 miles east of Yellowstone's East Entrance. The longest I've spent backpacking is 6 consecutive days accumulating about 40 miles. Many miles of trails are available, a lot of them can be turned into loops. FJ Guy: Never done any thru hiking but out and back in a day "hikes" was 16 miles. Jay Johnson: Currently, my longest trail has only been a 20mile hike through the Superstition Mountains. My interest in longer distance hiking has been growing recently, so I am excited to push further on in the future. My next long hike will be the Highline Trail (52 miles) and after that I will start to focus on sections of the Arizona Trail. Adam Trahan: An average day hike is like 3-4 miles out for fishing, if I am backpacking, I might go a little farther and set up camp. I've done many 20 mile hikes in the Army, lived in a tent for a week so many times I can't count, many two to three weeks in small and large tents, lived on the trail and out in the wild so much in the infantry, it's what you do. Longest I've camped is 10 days, longest backpack as a civilian is a couple of nights deep in the forest. Laura Sherman: Alaska, Denali Highway, 99 miles. The road is technically 130 miles, but it is unpaved for 99 miles and it is stacked with unnamed small creeks and lakes with naturally thriving fish in really surprising spots. What are your favorite resources for ultralight backpacking and tenkara? Chance Sheridan: Recently we completed a home for an ex Fish and Game, and he was nice enough to show me the state's database. It was very informative and gave me a better understanding of my local waters. 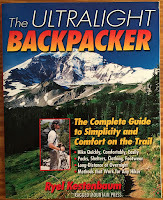 For backpacking there's Trailspace, Section Hiker, Backpacking Light and Whiteblaze and Backpacker Magazine. 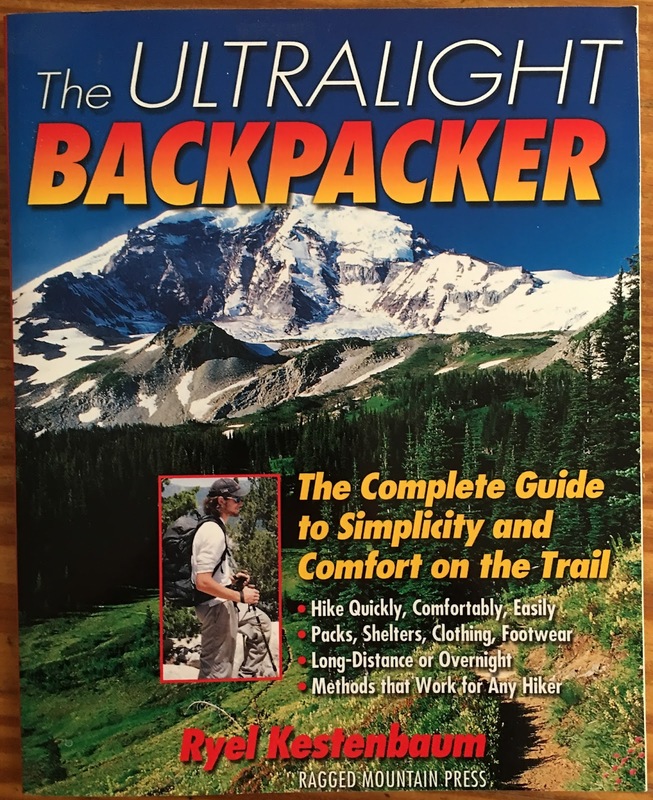 Jay Johnson: If I could only pick one source for ultralight backpacking, it would be backpackinglight.com. The site and forum might not be as active as it once was, but there is a wealth of information on there. People over there obsess over every aspect and gram of gear. When you read about an item or idea, it’s been put to the test through hundreds, if not thousands of miles on the trail. Youtube also offers a great source of information from hikers who travel light and fast, often doing multiple thru-hikes and setting records. One of my favorite channels is from a guy named, John Zahorian. He’s the first person that really caught my attention talking about hiking 40-50 mile days. I really identify with his concept of constant, consistent hiking without breaks compared to pushing hard and taking multiple breaks throughout the day. For Tenkara, I am currently all about Discover Tenkara. Those guys have a great rapport with the Japanese Tenkara community and are putting in the time, money and effort to spread quality information outside of Japan. I think everyone should read their Discovering Kebari E-book (no, I don’t get paid to say that). 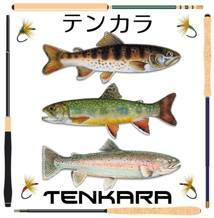 I do think that anyone just starting out in Tenkara should spend a lot of time soaking up information from Tenkara USA. Who knows if any of us would be talking about Tenkara without the risk that Daniel took in order to successfully spread Tenkara outside of Japan. 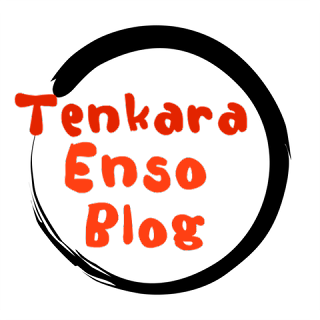 On a side note, it is sad that Tenkara-Fisher no longer exists in its forum format, but I understand why it is no longer up and I am extremely glad that the Tenkara-Fisher blog is still keeping a lot of that information alive and continuing to add more value for the Tenkara community. My all time favorite thing to read is the Genryu series of stories from Keiichi-san. His pictures and writing inspire me to go further into the mountains. Adam Trahan: Personal experiences first, then compare and contrast to focused groups such as this. I like the Internet where I can study. Tenkara USA, social media where I can study along with other people's choices, Ray Jardin, Jason Klass, gathering data like you see here, I learn a lot from others. I value community. Laura Sherman: I make a lot up as I go. I watch YouTube, look at “hacks” on Pinterest, watch what smart people say in backpacking and fishing forums (I am not smart, but I know what smart people sound like), and mostly, I just try to stay safe, light, happy and keep a sense of humor about all of it. Rob, thanks! We had a blast doing it.